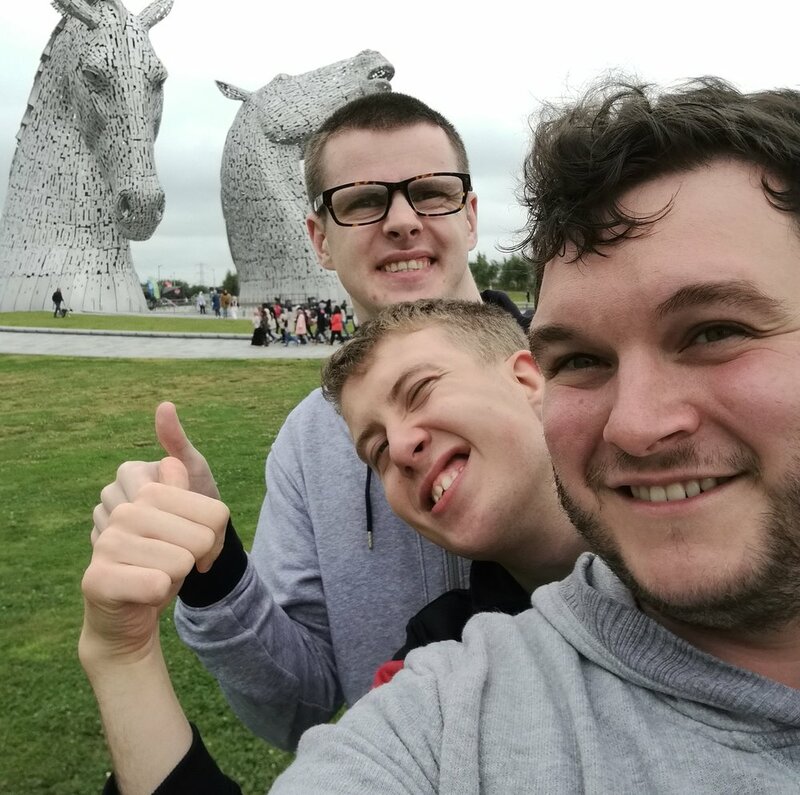 Steven was inspired by Upmo students to take part in the Kiltwalk. Find out what he likes best about working with us. I have been involved with Upmo since it started as my brother is a student here, and then for a time, I was on the Board of Trustees. I have worked as Head of Planning since last October. I am always happy to be involved in fundraising for Upmo, as we need large sums of money to develop our future plans and to keep delivering a quality service for the students who attend. I am passionate about the work we do; I witness every day the happy faces of our students, and how proud they are to be learning new skills and growing in confidence. My favourite thing is the banter with all the students, and working as part of a great team. I have a dream of living in a farm cottage with pigs, goats and a Highland coo for company! I love my garden, spending time with my family and friends, and eating & drinking! But my favourite pastime is definitely going on holiday – my latest trip is New York next week! I am sure it will be fine on Sunday but we are taking the dog so as long as she manages it, we will! If you’d like to support Claire in her fundraising efforts, you can do so on her EverydayHero page here. How long have you worked at Upmo? It’s been nearly four years now. What motivated you to do the Kiltwalk? At first, I thought of the challenge doing the whole 24 miles and that’s it’s something a bit out of my comfort zone. I see lots of different fundraising opportunities at Upmo but not being a particularly musical or arty person, I feel at least I can contribute to this and I can walk. What is your favourite thing about working at Upmo? I like this going over the progress reports with students and their families. It is the clearest representation of progress that students are making. I used to be a teacher and I reminds me of report card days! Tell me something of interest about you? I love travelling, I have a pretty global family with relations living all around the world, like Asia, Australia, Europe and America. I lived abroad myself for a year. I enjoy reading and writing weird dystopian stories; I also play basketball and football. My Monday night basketball team has recruited some of Upmo’s newer members of staff too, which is a lot of fun. How do you anticipate the walk will be? I think there will be real sense of community and support! A few of my friends are joining me too! If you would like to support Aaron’s fundraising efforts, you can do so through his Everyday Hero page here! Would you like to take part in a hugely popular outdoor family event in Edinburgh this September to help raise funds for Upmo?